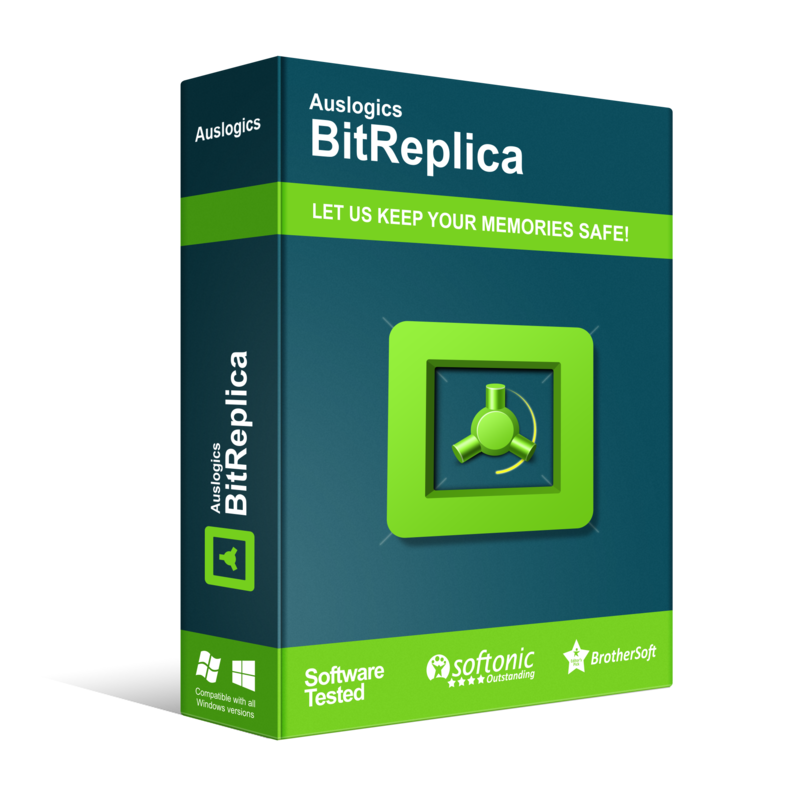 Protect important documents, photos and any other data on your PC by backing it up with BitReplica. It’s a tool for backing up files stored on your Windows PC. It protects your photos, music, documents and any other data from being lost due to a hard drive crash, virus attack or accidental deletion. The program should be especially useful for anyone who has several storage drives (it could be several hard drives installed on one PC or several PCs networked together). 1. Create a new profile — Specify what, where, how and when to back up by creating a backup profile. 2. Start backing up your files — Add predefined items or custom folders to back up, then click the Run button to start archiving your files using the selected profile’s settings. 3. View backup history — Select a profile from the list to view a history of backups created under this profile. 4. Restore needed files — Select a backup from the list under a profile and click Restore, or explore the backup folder to select individual files to restore. You can specify file groups to back up, such as IE favorites or Windows mail contacts, or select individual folders to back up under each profile you create. By creating separate profiles, you can set individual rules for backing up different folders and file groups depending on how frequently you use or modify them. To avoid wasting valuable disk space, you can select to back up only the files that have changed since the last backup or files that have changed since the last FULL backup. Choose a cloud storage system you’d like to use and set up BitReplica to save your backups there. This way you will be able to access your files from anywhere you may be and be sure the files are stored in a safe place. Create your backups manually whenever it is convenient for you, or set them to be created automatically on an hourly, daily or weekly schedule. Specify your preference under each profile. Data loss is devastating. The pain of having to start over again, or explain to the boss why you don’t have that proposal ready is just devastating. This is why everyone needs an elaborate offline and online backup plan. Whereas doing the task manually could be sort of rewarding, enlisting the helping hand of a backup tool is definitely a wiser move. Backup automation. That is what I was looking for when I encountered BitReplica. 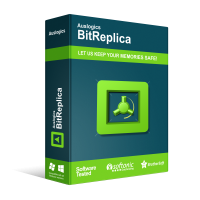 BitReplica gives you the freedom to backup 5 times before activating the product. This shouldn’t be a problem since Shareware’s activation key actually works. I just activated my copy and restarted the application for the full version. The user interface looks rewarding. It isn’t cluttered and only features the necessary controls. A flimsy but powerful tool bar features all the controls you would need for a local or cloud based backup while prominent ‘Create Backup’ and ‘Run All Backups’ buttons on the home interface resonates with what BitReplica is all about – creating and restoring Backups. BitReplica gives you the option of backing up to a local drive or to the cloud. The local drive backup is simple. You select what you want to backup and where you want to back it up. The cloud backup option is more interesting. BitReplica scans your computer for any installed cloud storage services. It discovered my Dropbox, Microsoft Drive and Google Drive services with ease. The wizard lets you choose between a ‘Simple Backup’ that simply appends new files to the desitnation folder without overwriting any existing replicas. An ‘Exact Backup’ creates an exact copy of your source file meaning any replicas will be updated. The other backup options are; Full, Incremental and Differential Backups. Here is the good part: You get to choose the backup frequency. Daily, Weekly, Every hour, Manually or whenever you switch on the computer. This flexibility ensures that your precious files will always be up to date no matter what. BitReplica’s Backup Wizard is everything. It guides you through, from choosing the specific file or folder you want to backup to specifying what kind of files in a folder must never be backed up. These simple yet powerful backup configuration options make it a true jewel to busy people who want to create bulk backups. Some files might be too huge for your cloud storage package. At other times, a document might be too important to the extent that you don’t trust your external hard drive to keep it safe. BitReplica’s cloud and local backup will always let you choose the right path for each backup you make. Backing up is a mundane task. BitReplica intelligently automates the process letting you mind your work and worry less about the actual backup as it will do it at the predetermined time. Encryption wouldn’t be so much to ask of BitReplica. This would make sure that no one can access my files at all. BitReplica is a good backup automation tool. It won’t speed up a backup process but it will at least run it in the background leaving you time and space to remain productive throughout the day. It is a good tool for people who cannot afford to lose their hard drive contents but do not have the time create manual backups. Five stars from me!